- Get the final view of the April 2017 to March 2018 period for all but one of your non-energy costs. The outstanding cost is FiT and we’ll know these numbers in September. - Budget for the year ahead with the final numbers for the three biggest hitters in your cost stack. 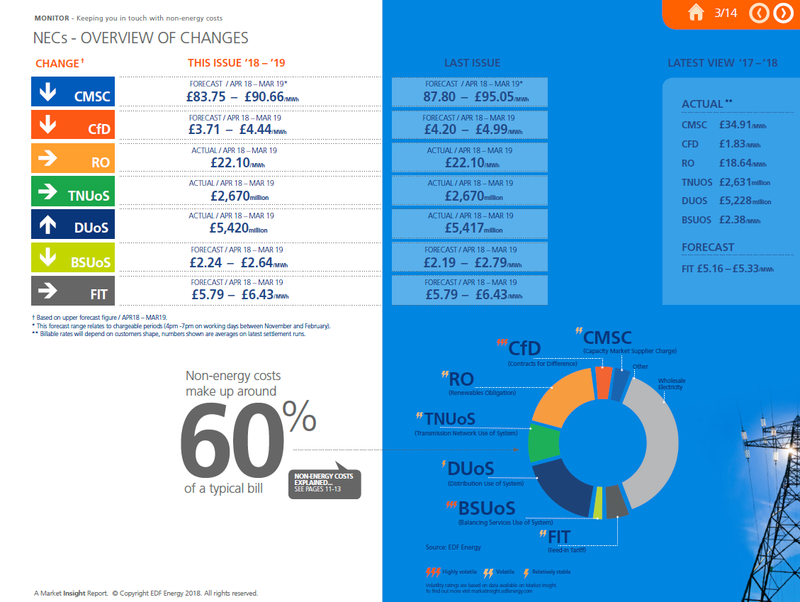 With RO, DUoS and TNUOS now known, you can build up a picture of your costs for the current period. For the rest of your costs in the April 18 to March 19 period, there’s still some decisions and announcements to be made before we can give you the actual numbers. But you’ll find our best forecasts inside Monitor. You’ll also find some new additions to this issue making it easier to compare our latest forecast to your contract. 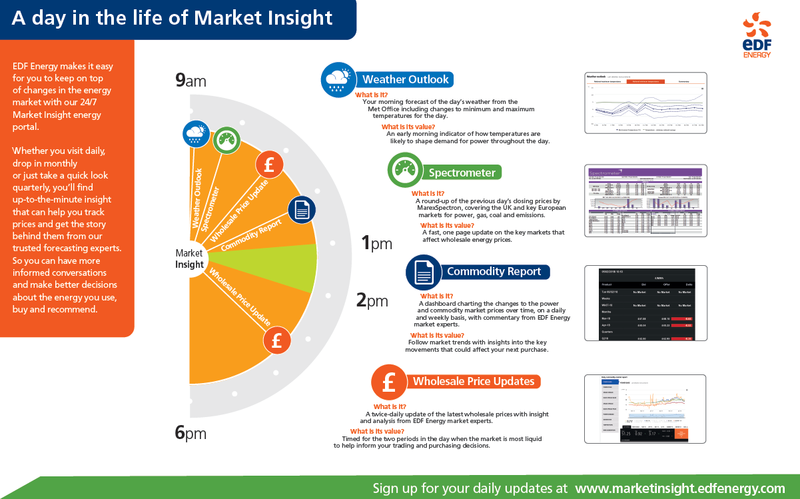 Log in to Market insight and visit the Monitor page for the full lowdown on each non-energy cost in your cost stack. Register for our non-energy cost webinar on Tuesday 5 June at 11am. Katherine Moriame, one of our cost stack analysts, will walk you through the latest forecast and what this means for your business.